Senses of Me: Death is a Way of Life. It has been a while since the last time I posted something. So much has been happening simultaneously that I have had no time in the moments to write. I doubt that I have even fully felt the full weight of what has been going on. I feel like I am watching my life pass by, not full in it, yet not quite out of it. Numb. A wedding. A death of a grandfather. A death of a grandmother. A possibility of a new life. A break up of friendship. A rift in the family. A gathering of in-laws. All in the same few weeks. A Lost Writer...couldn't find the places in my heart for all the emotions. For all the anger. For all the sadness. For all the hurt. For all the joy. For all the love. For all the mix-up. So I tell myself that death is a way of life. 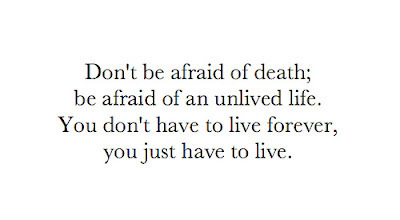 Death is a reminder to live every day, every hour, every minute, every second. Death reminds us all is not lost. When something gets taken away - something else is put in our hands. Death is a reminder to be grateful. 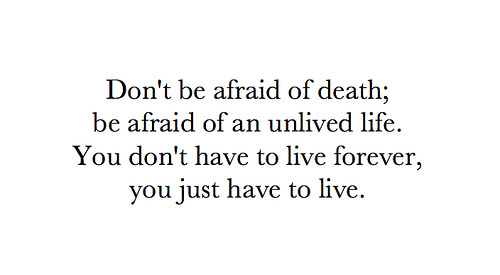 Death is a reminder that life is short, but its beautiful if lived to the fullest.